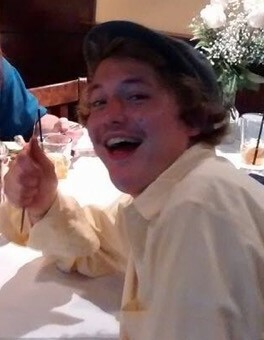 Jonathan Holt Whitlow, 24, of Charlotte, passed away on March 31, 2019. He was born on December 26, 1994 in Mecklenburg County, the son of William Melvin Whitlow and the late Anne Spainhour Miller. In addition to his mother, he was preceded in death by his grandparents, Nancy Holt Whitlow, Margaret Spainhour, and Ralph Spainhour. Jonathan graduated from Myers Park High School, class of 2014 and enjoyed skateboarding, playing guitar, cooking, and spending time with his friends. He also enjoyed outdoor activities, spending time in nature, and writing and performing his own music. Jonathan was a pure spirit who never judged anyone, he saw people for people and nothing else. He cared deeply for people and made a lasting impact on the lives of everyone he met. He was very true to himself regardless of what others thought. Jonathan was a beacon of bright light and lit up the room. He was a very upbeat, positive, and optimistic young man who was never seen without a smile on his face. He will be remembered and deeply missed by his family and friends. Jonathan is survived by his father and stepmother, William Melvin Whitlow and Allison Paul Whitlow; brother and sister-in-law, Spencer and Nikki Whitlow; brothers, Michael Whitlow, and Jake Whitlow; grandfather, Carlton Whitlow; stepfather, Martin Miller; and numerous aunts, uncles, and cousins. A Celebration of Life will be held on Saturday, April 6, 2019, 12:30 P.M., at Benson Funeral & Cremation Services, Mount Holly, with Rev. Missy Solomon officiating. A visitation will be held one hour prior to the service from 11:30 – 12:30. The family will receive friends at their residence following the service.